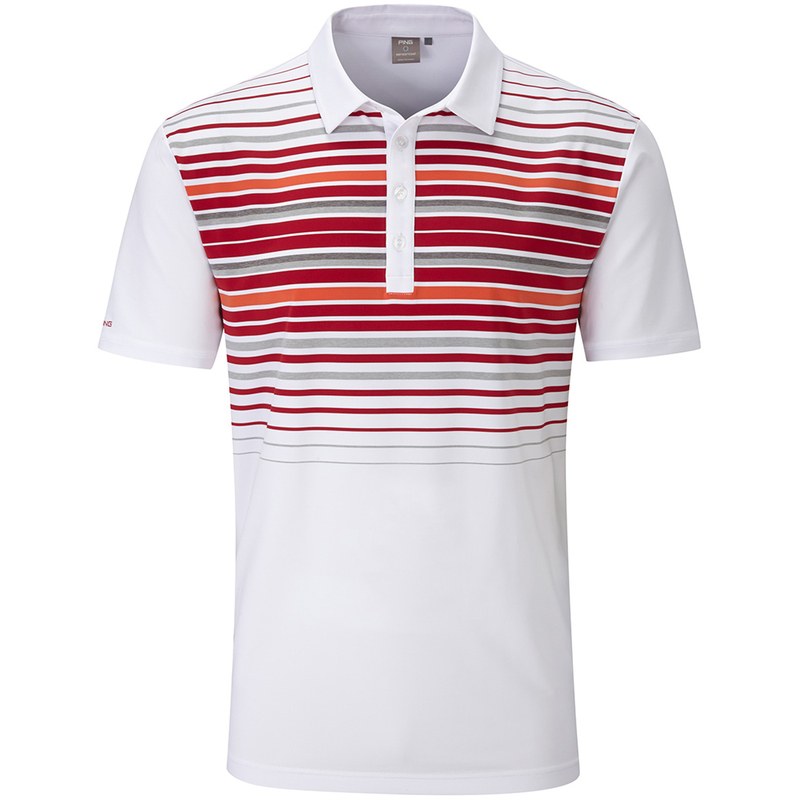 Push the boundaries of your performance, with the highly fashionable striped polo shirt. 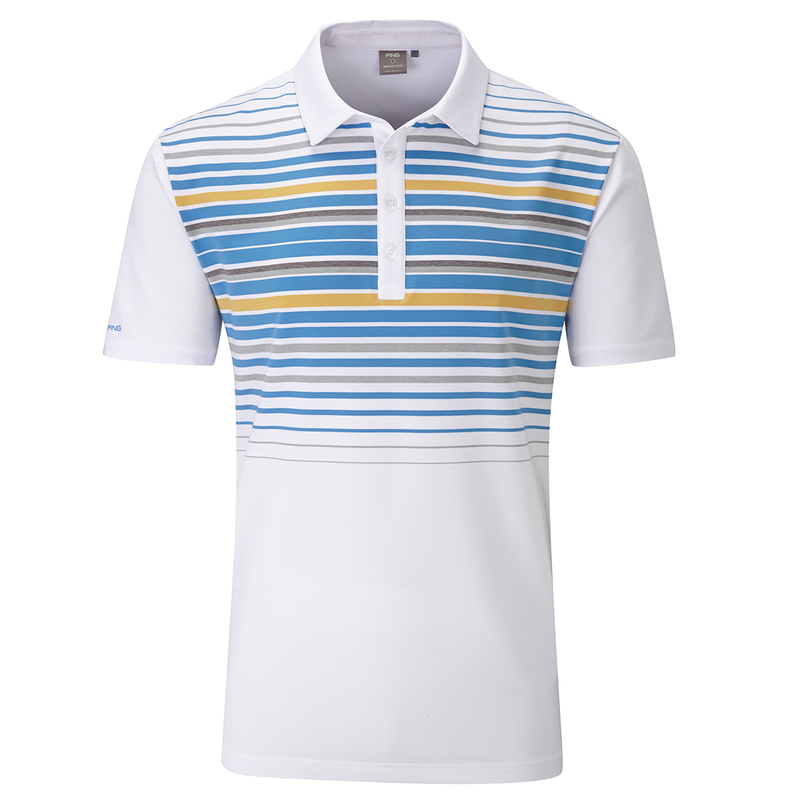 This polo gives the wearer total comfort with SensorCool technology fabric, which has a moisture management system to keep you dry and comfortable, and offers UPF 50+ sun rating for added protection. 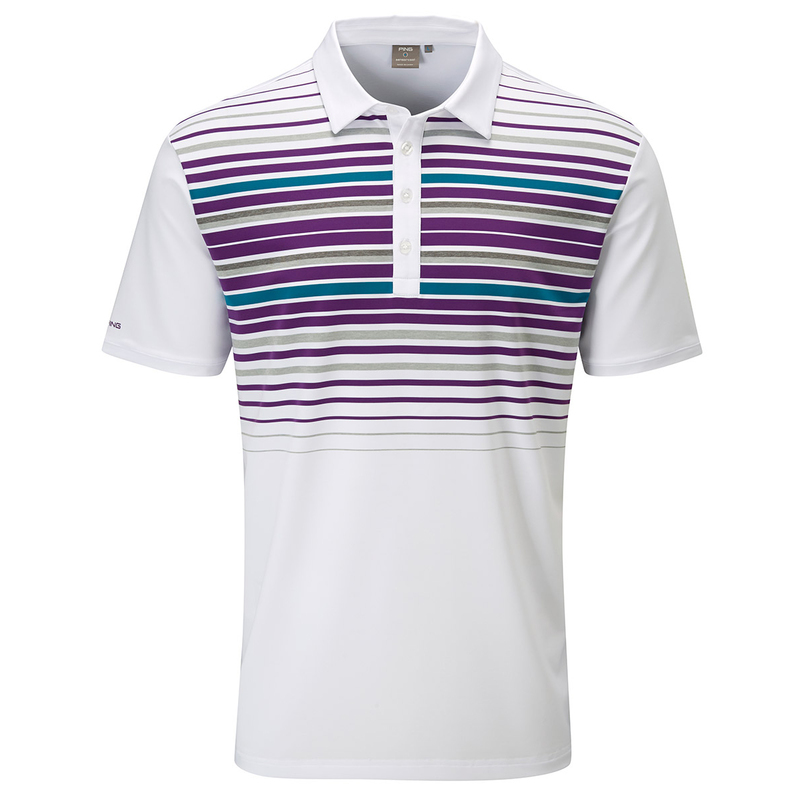 The fabric has stretch properties to give you greater mobility which is ideal during the athletic golf swing movement, and is crease resistant for a longer lasting appeal. 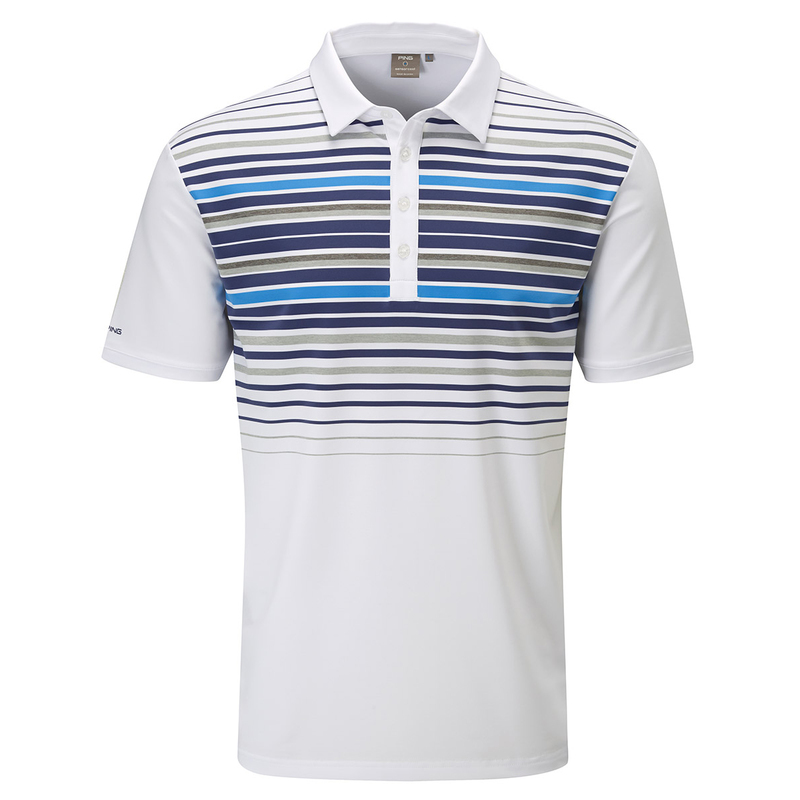 The design features an engineered stripe detail, a 4-button placket and collar, and has the PING logo on the right sleeve.